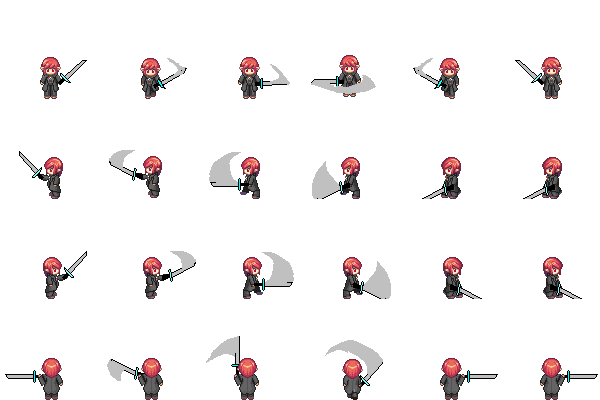 Hey everyone, I just randomly clicked the sprites section and decided to post up some of the sprites I've collected for the making of my game... Here they come, Enjoy. Image Heavy I Put them into spoilers so it wouldn't be too much of a load on your computer... Hope it helps! Here's an old man drinking sprite. Comes with a very funny comic. Another Edit of a Zero Sprite. 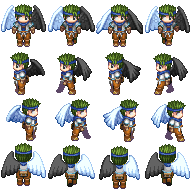 A Sprite that I made! Well, actually I edit the original sprite. 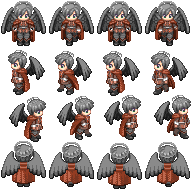 And this is Devil/Angel Wing armor that you will have to unlock before meeting him. ~I'll post up more once I get some comments about useing these guys in my project. 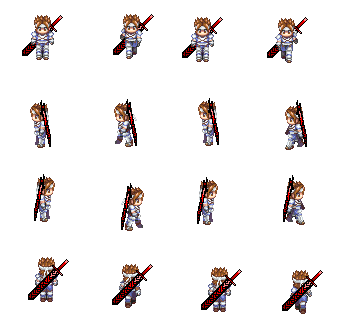 The sword edit was actually a test sprite edit. I'm currently working on remodeling it with a different sword and will update soon. 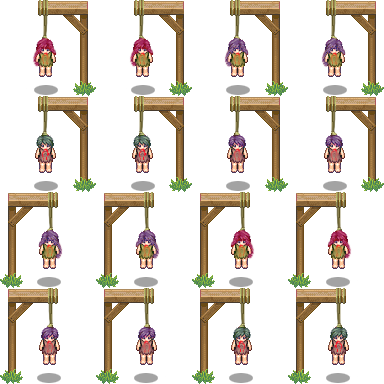 And for the people getting hanged... it's part of the story for my project. Nice and all but...What The Hell? why would a guy have black wings and then white wings? no offence but that one looks really strange And please don't speak Geek please? Whoops.-.- Forgot they weren't your sprites but whoever made them! that looks stupid! 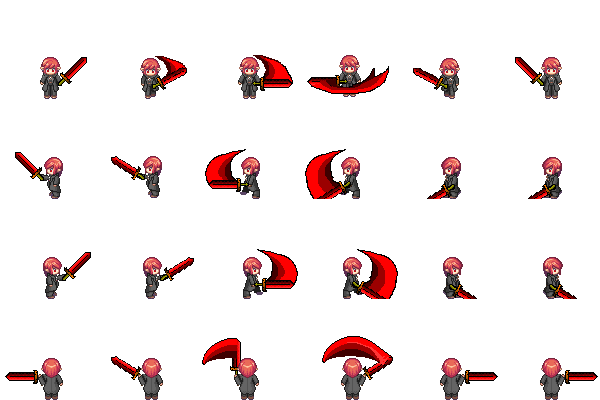 Added my new sprite sheet edit! Yea, I thought so too, red really DOES look good on that guy... but those sprites are now officially useless... The battlesystem broke down so now I switched to KGC's new battle script 'Active Count Battle', which is a bit bad on the gameplay side but it's more RPGish.